Trommel fines are a by-product produced during the recycling process and consist of materials such as wood, aggregate, glass, ceramics and organics. Landfill sites have been the traditional home for trommel fines, however with the increase in landfill taxes and the amendment of the Landfill Tax Regulation processors and are being forced to partake in trommel fines clean up. The introduction of the Loss of Ignition (LOI) test in April 2015 now requires waste processors to sample materials to ensure that each load has an LOI of 10% or less in order to be considered eligible for the lower rate of tax. HMRC accepted a 12 month transitional period enabling waste processors to produce LOI of 15% or less however this is due to end this month, April 2016 causing even tighter restrictions on landfill operators and waste processors. The solution is inevitable, waste processors must introduce methods for trommel fines clean up to remove the calorific material that can be recycled. This will result in more materials being recycled and will reduce landfill tax bills. The big question for waste processors to ask is what equipment will generate a high return whilst eliminating landfill costs. There are many products launched to the market for tackling fines clean up in particular the Flip Flow Screen design which is undoubtedly a credible screen for cleaning and sizing wet and sticky materials, however the major disadvantage can often be low tonnage per hour achieved. Waste processors need to explore solutions that will guarantee high tonnage rates and high quality fines fraction. Ecohog have effective solutions that won’t eat compromise capital funds to implement. From our experience making small additional improvements to a trommel process will ensure better liberation of materials and increased tonnage per hour. 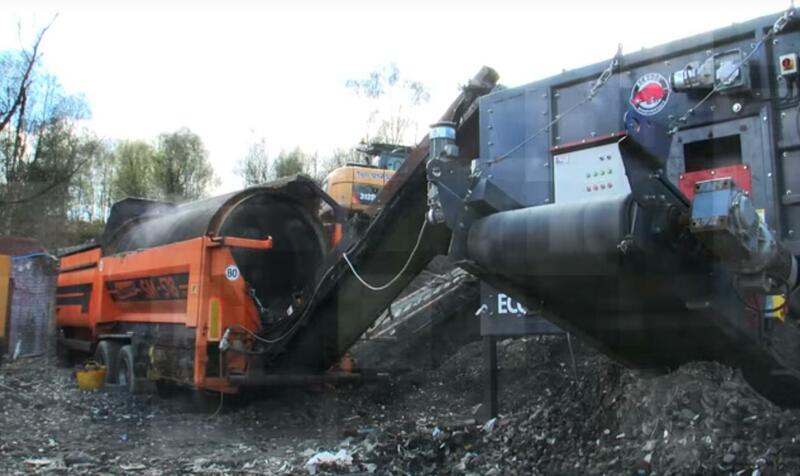 To further maximise the fines clean up incorporate an Ecohog Windshifter after this to further separate the material into additional light and heavy fractions. Dependant on your material composition the light fraction may now be eligible for RDF and the heavy fraction could be processed further to become a recycled aggregate. For a free consultation on low cost solutions but maximum returns contact Ecohog today on 00442880761295.